The cloud based services are progressively being adopted by businesses across a broad spectrum of verticals mentioned in the report such as banking and financial services (BFSI), telecommunication and IT, public sector, energy, healthcare, retail, manufacturing, education, media and entertainment, research and consulting services, and other verticals too. The complete cloud based data management services market analysis consists of evaluating various types of services, types of service model, delivery model, verticals and regions. The overall market size is found by adding up the individual market size of all services including consulting services, system and network integration services, and deployment and support services. The cloud based data management services currently offered by numerous vendors such as IBM, HP, Cisco, EMC corporation, Fujitsu and others envelop the whole private, public and hybrid cloud spectrum. These vendors deliver high end services spanning through the strategic planning and assessment of managing the consumer’s data by integrating, migrating, data security, quality and optimization services. Today the prime concern in the cloud solutions and services market is regarding the security of data and customer privacy. To meet this major concern of the customers, cloud based solution vendors as well as the service providers assist them with superior quality network and storage security services. The cloud services vendors also deliver high end data backup, data recovery and restoration services in case of an inevitable technical disaster. This report segments the cloud based data management services market into type of services, covering this market comprehensively. The report provides the closest approximations of the revenue numbers for the overall market and the sub-segments. The market numbers are further split across the verticals, service models, deployment models, and regions. This report will help them better understand the competitors and gain more insights to better position their business. There is a separate section on competitive landscape that includes competitors’ ecosystem and their roles in the market. Besides, there are company profiles of the top 10 players in this market. In this section, market internals are provided that can put them ahead of the competitors. The report helps them to understand the overall growth of the market. 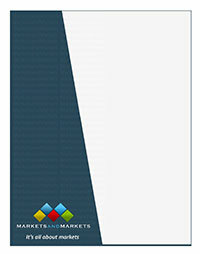 The report provides information and analysis of key market drivers, restraints, burning issues, and opportunities.